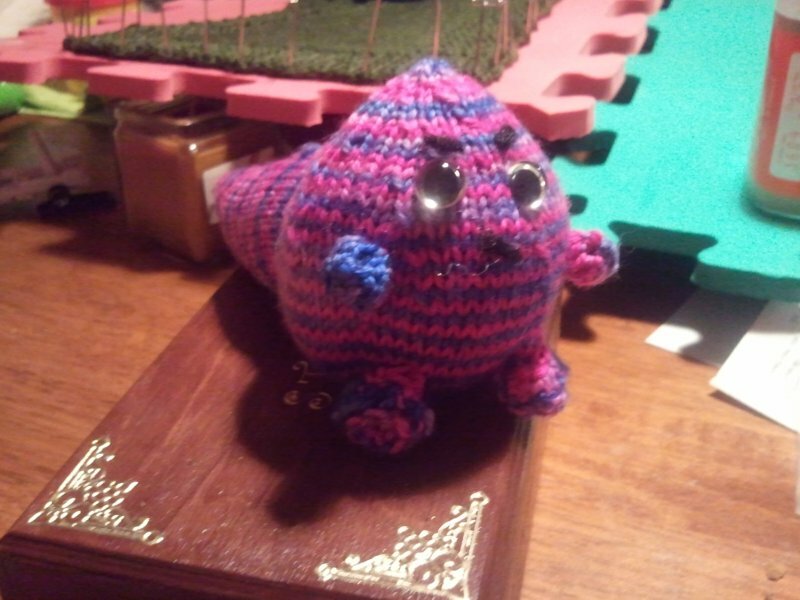 I had some yarn left over from the armwarmers I made a couple weeks ago, so I decided to make a Grumpasaurus for the guy who dyed the yarn and sold it to me. He goes to my SnB and he's pretty fun... plus he collects little dinosaur figures at his work desk. Why not? it's a few hours to do and I'll probably have nothing other to do with the leftovers than make mitred squares. This Grumpasaurus is so sweet!! 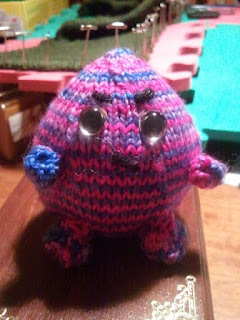 I never tried to knit a toy but I must try!